Since 1969, Canney’s Water Conditioning, Inc., has served businesses in Southwest Michigan by offering high-quality reverse osmosis systems. 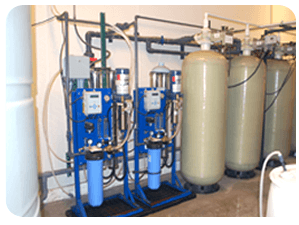 With reverse osmosis, you can extend the life of the equipment you use and ensure the quality of the products and services that you supply to your customers. Businesses that rely on industrial boilers can reap considerable benefits from implementing a reverse osmosis system. Reduced fuel costs, better steam purity, reduced need for chemical treatment and better corrosion control are just some of the benefits you will experience with reverse osmosis. A commercial reverse osmosis system from Canney’s Water Conditioning is an investment that very quickly pays for itself. Because we understand that businesses need flexibility, we offer our customers the option to rent reverse osmosis systems. If you are planning to move your business to a new location within the next few years, renting may be a good choice for you. New businesses that are just starting out often choose to rent initially, and then upgrade to a more permanent set up once they have become established. At Canney’s Water Conditioning, Inc., our commitment to customer service is a point of pride. We provide ongoing service to our customers to ensure that their reverse osmosis systems operate optimally and reliably. We work to ensure that your equipment stays online so that you can continue to do business as usual without interruptions or downtime. 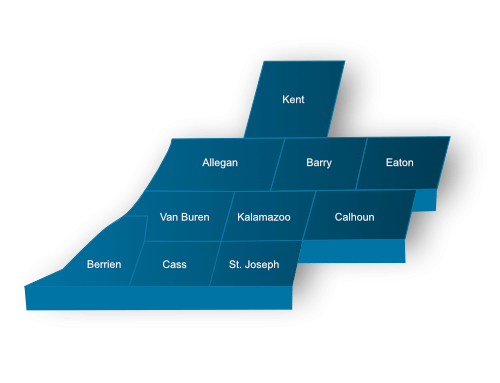 For more information about our commercial reverse osmosis systems, contact Canney’s Water Conditioning, Inc. We’re located in Kalamazoo and serve customers throughout Southwest Michigan, for specifics check out our areas served.